Surprise your special someone this Valentine's Day! Have a barbershop quartet from the Cherry Capital Men’s Chorus deliver your wishes of admiration, love or just fun! $45 price includes two songs, a long-stemmed rose, card with your special message and a digital photograph. Valentines can be delivered to almost any location – home or business between 9am and 7pm on February 14th! Surprise your special someone this Valentine's Day! 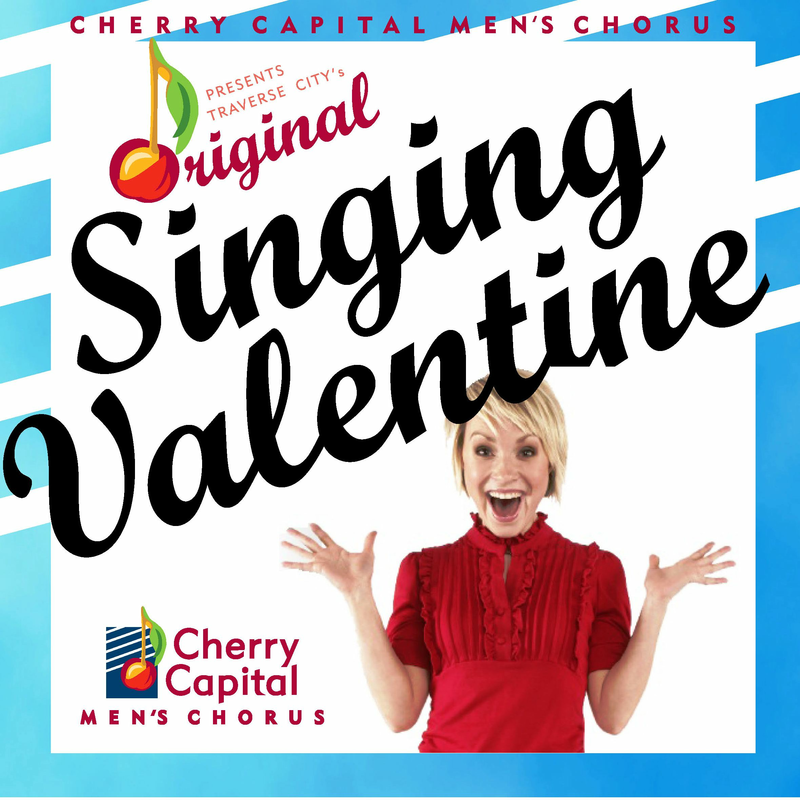 Have a barbershop quartet from the Cherry Capital Men’s Chorus deliver your wishes of admiration, love or just fun! Valentines can be delivered to almost any location – home or business between 10am and 7pm on February1th! Most Valentines are delivered within 10 miles of Traverse City, but call us at 231-590-4722 to schedule for other locations.